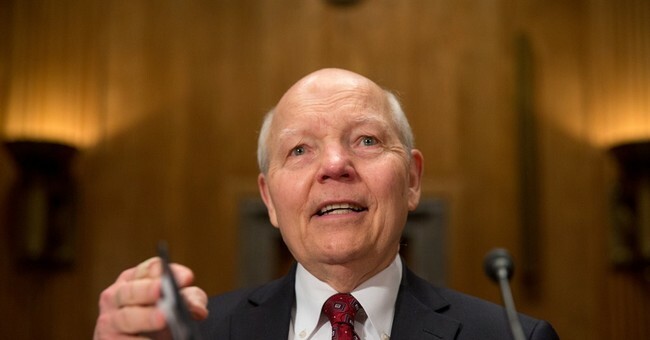 Two weeks ago IRS Commissioner John Koskinen admitted the agency ignored 60 percent of taxpayer phone calls, even during tax season, due to a lack of resources. He begged Congress for more money, money that of course comes from the paychecks of hard working Americans. But according to a new report from the House Ways and Means Committee, the IRS isn't lacking the resources to answer taxpayer phone calls, but instead prioritized resources to pay out big bonuses to employees and to fund union events instead. "During the 2015 tax-filing season, the IRS provided what its own Commissioner described as 'abysmal' customer service, blaming skyrocketing wait times for telephone and in-person assistance on agency budget cuts. The IRS even called budget cuts 'a tax cut for tax cheats,'" the report states (bolding is mine). "But a close review of the agency’s spending shows the IRS deliberately cut $134 million in funding for customer service to pay for other activities. Spending decisions entirely under the IRS’s control led to 16 million fewer taxpayers receiving IRS assistance this filling season. Other spending choices, including prioritizing employee bonuses and union activity on the taxpayer’s dime, used up resources that otherwise could have been used to assist another 10 million taxpayers." -This IRS made a 73 percent reduction in user fees allocated to customer service, and a 6 percent decrease in total funding for taxpayer assistance. -The IRS awarded $60 million in bonuses to its employees, at a time when the IRS did not yet know what its budget would be for fiscal year 2015. -The amount of time IRS employees spent on union activity would allow for over 2 million additional taxpayer-assistance calls. "While the IRS has been cutting services, it has continued to hand out bonuses, allow staff to conduct union activities on the taxpayer’s dime, and failed to collect delinquent debt owed by federal employees. The agency has also refused to use its existing authority to use third-party debt collectors to increase revenue, even though it would recover billions of dollars for the agency. What the agency has done is spend over $1.2 billion on the President’s health care law to date, with a planned expenditure this year of an additional $500 million," the report states. Over the past three years the IRS budget has been cut as a result of the agency spending millions of dollars targeting conservative groups, on lavish conferences and for funding "educational" Star Trek videos. Budget cuts were made as a result of waste and in hopes IRS officials would become more efficient with allocated funds. Instead, the IRS response to cuts has been to treat taxpayers worse than usual. Meanwhile federal government employees, which includes those working at the IRS, owe at least $3.3 billion in back taxes.